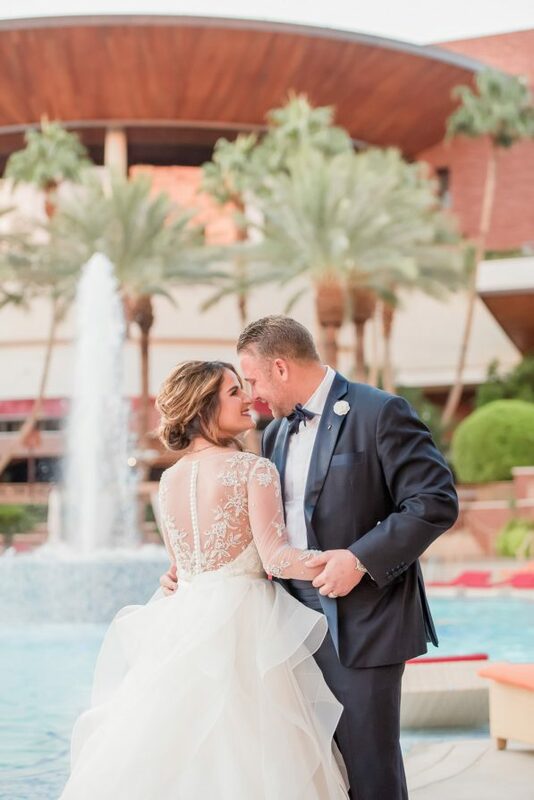 Kristin + Spencer are one of four couples in their family who held their destination wedding at Red Rock Resort. Red Rock is an elegant, modern property off-the-Strip with dramatic chandeliers and palm trees galore. 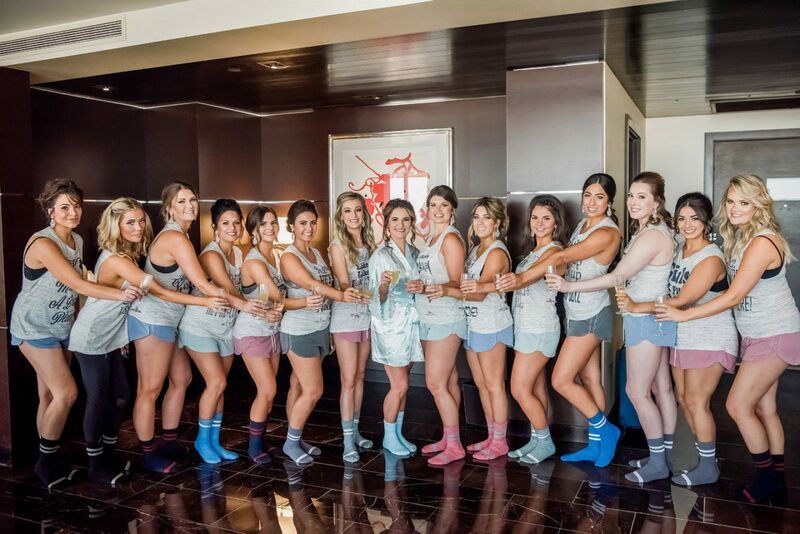 They had my largest bridal party of all time – 13 bridesmaids and 13 groomsmen plus four ushers. These two lovebirds are the perfect combination of trendsetting and classic, with a color palette of blues and purples, a head table for all 32 bridal party members, and a to-die-for long sleeve lace gown. Their ceremony was on a balcony at sunset, and reception was in the property’s nightclub. 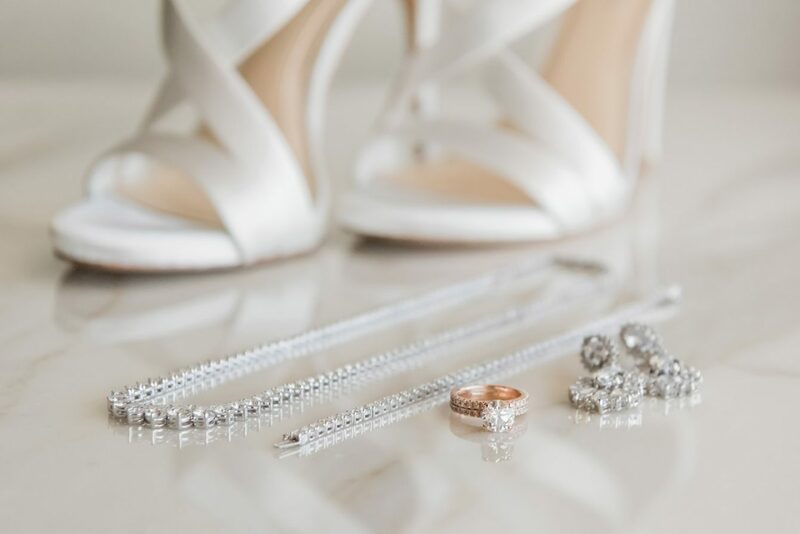 Kristin + Spencer’s romantic vision came to life in a stunning and chic wedding. 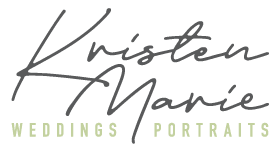 Wedding planning by Paulina Clute Events.  Kristen makes it her priority to make sure you never forget a single emotion you experience on your wedding day by capturing the most sincere and real moments. Looking at my wedding photos and feeling every emotion again is one of the greatest gifts I could have ever been given!